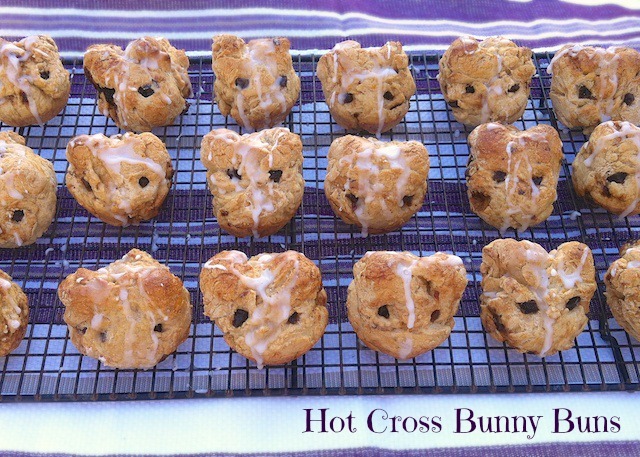 In my head, it was brilliant: Hot Cross Bunny Buns for Easter. I’d combine Cooking Light’s lightened recipe of Hot Cross Buns with these adorable Bunny Rolls that have been taking Pinterest by storm these past few weeks. Maybe I’ll get a few hits if I post to a Pinterest Fail board. Anyway, despite their appearance, these hot cross buns are indeed delicious. My only adaptation to the recipe (besides the failed bunny formation) was to use dried plum bits (I’m a fan of Sunsweet Plum Amazins) in place of the traditional dried currents and raisins. So, I’d still recommend baking these buns and giving them your own bunny twist, which can only be an improvement over my attempt. 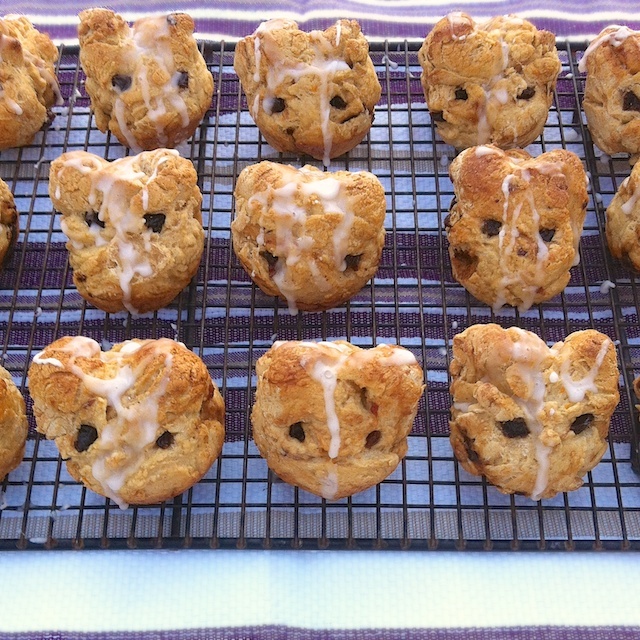 I think I’ll stick to my traditional Easter Bunny Sweet Bread when it comes to making rabbits out of dough from now on. Do you bake anything special for Easter? haha this def made me smile this morning 🙂 totallly something that would happen to me! Oh yes i can totally relate lol my daughter said oh what cute hamsters lol. 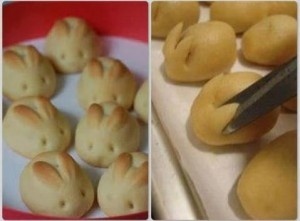 I might just make them for Easter and see what happens. If i do make them i will def post pic. Your daughter made my day with the hamster comment! Love it – hee hee. Glad my #fail provided a few chuckles for many, including myself. Definitely post a pic if you make them! Yeah. Mine don’t look quite like yours, but neither do they look anything like the Pinterest photo. I still plan to send them to school with my son tomorrow, with some icing powder puff tails. They’re used to my “interesting” special-occasion snack contributions. 😉 I might try them again next year, but with some major changes. I bet your son and his classmates love them regardless! We’ll all give them a go again next year 🙂 My favorite comment still is from Pamela’s daughter who thought they were hamsters.